Sunseap Group, Southeast Asia’s leading sustainable energy provider, is developing one of the world’s largest offshore floating photovoltaic (OFPV) systems to be located north of Woodlands Waterfront Park, along the Straits of Johor. 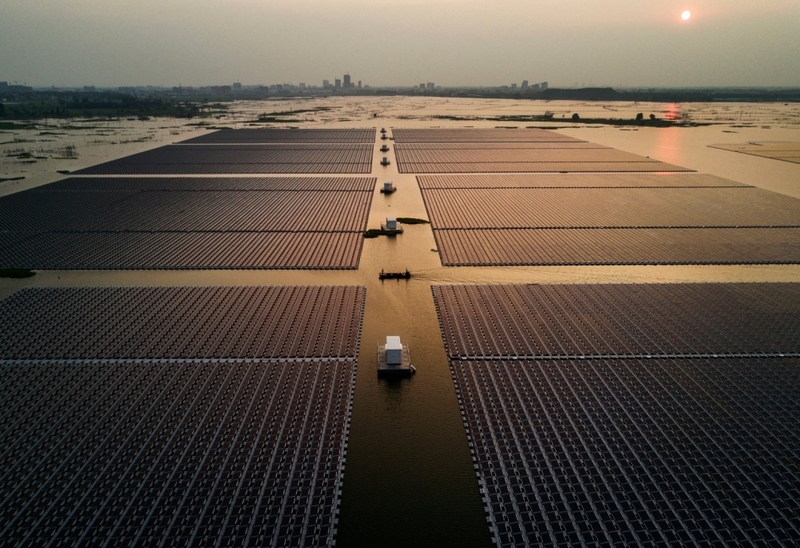 Supported by the Singapore Economic Development Board (EDB), the 5 MegaWatt-peak (MWp) floating solar system will generate about 6,388 MWh of renewable energy annually, once completed. This is equivalent to powering about 1,250 4-room flats, with a reduction in greenhouse gas emissions of about 2,600 tonnes every year, over the next 25 years and beyond. Mr Phuan added that in land-scarce countries like Singapore, the widespread use of PV systems is hindered by space constraints and limited roof space. The successful delivery of this project is important in opening up similar opportunities for sea-based floating photovoltaic systems in Singapore and the region. Mr Rob Khoo, Vice President, Marketing Communications, Sunseap Group commented: “Solar energy is a key renewable energy source in Singapore and Sunseap is constantly innovating and exploring more efficient ways to deploy cutting-edge technologies that will help us protect the environment for future generations,” he said. AFF Suzuki Cup 2018: Ranking of All 10 National Team Jerseys Based on Price & Looks!